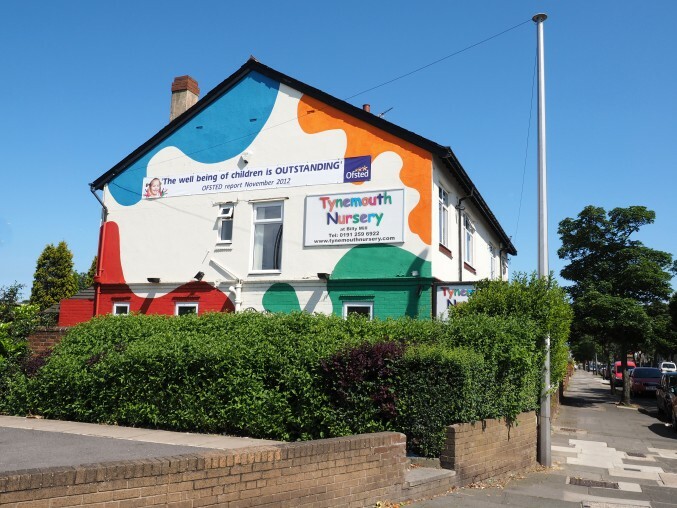 Tynemouth Nursery at Billy Mill North Shields was registered in 2001 for 56 children aged from six weeks to five years. With its prime location and accessibility this popular setting provides Outstanding Early Years Provision to the Wellbeing of children as recognised by Ofsted in 2012. The building was originally two substantial semi detached houses and together now it forms a lovely sized nursery with Tynemouth’s unique homely feel. With seven base rooms for the children along with an imaginary room and large outdoor area Tynemouth Nursery at Billy Mill, recently fully refurbished and re-equipped, offers a catalyst of activities to enable children to learn through play and educational opportunities. With enthusiastic and upto level five qualified staff, parents can have peace of mind that their children are exceptionally cared for and each child’s needs are met. Smaller groups enable children to form good friendships and work together as a team as well as develop their confidence and individual skills. Additional curriculum activities such as French and Festival days offers the children cultural enriched learning linked to the EYFS. Whatever the weather the children enjoy outdoor play every day. Each day different play equipment is used and children have free choice to play as they wish. The following film was made on a cold day in January 2014. We still go out every day!